Another room tour for ya’ll. Our bathroom is pretty straightforward…toilet, sink, shower, step stool, cute green rug, storage for toiletries + towels, a cloud + rain shaped mirror. We are only missing a hot water heater, but that’ll happen in time. I’d also maybe like to paint the cement floor + shower surround, but I need to do more research first. 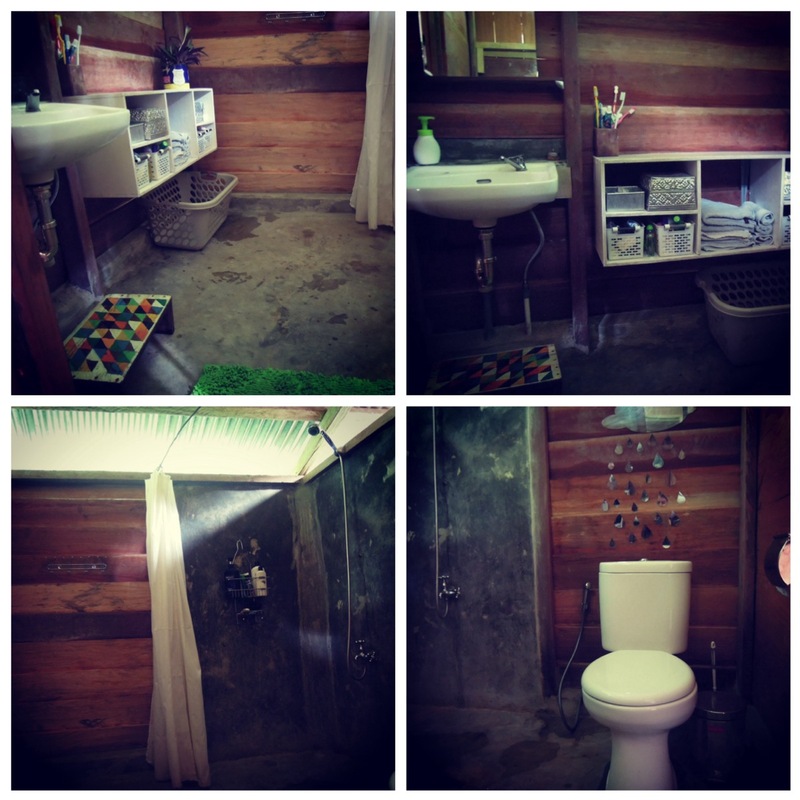 Overall I really like our bathroom, it feels spacious compared to the rest of our cozy little house. See the little me peeking out at you? Creepy?